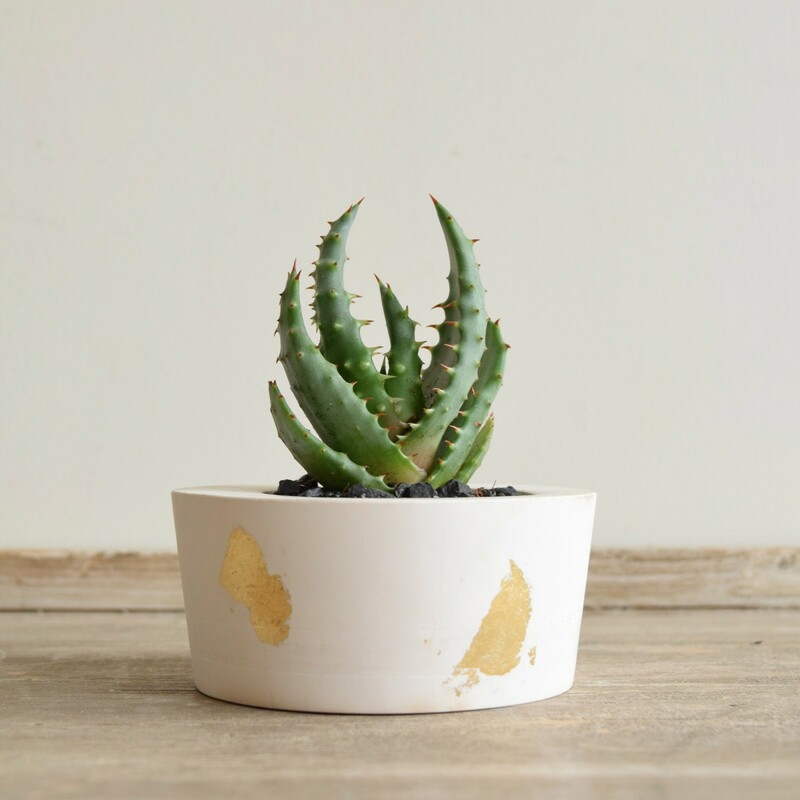 There are several of these succulents in hand-thrown pots available. Made by local artist and photographer Elle Brotherhood, each pot is unique, hand made and decorated using gold leaf. The plants come in presentation packaging made by Elle with small pipettes to water the plants. The range of plants varies and can be produced to order.